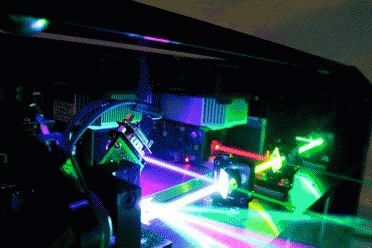 Working with the United States Food and Drug Administration’s Center for Devices and Radiological Health, X-Laser today introduced a dramatically simplified process for obtaining a laser light show variance using web based signature and submission tools for easy application and rapid approval. September 20, 2010 - Since the introduction of the high powered laser to the entertainment market several decades ago, most reputable laser light show equipment manufacturers have offered some kind of service to help prospective purchasers of their products obtain the necessary approvals from the Food and Drug Administration (FDA) which are required PRIOR to the purchase of any high powered laser product. In January of 2008, X-Laser became the first mass-market laser light show projector manufacturer to make a pre-filled copy of the Food and Drug Administration's Laser Light Show Variance Application and Show Report available to all of their dealers as a convenient kit which reduced application time from a few hours or more to just a few minutes. Even still, the kit had to be copied and submitted to the FDA before the purchaser could take possession of the projector and then the purchaser would have to wait many months, often more than a year, before the application was even reviewed leaving many in legal limbo indefinitely. Today, X-Laser announced an enhanced variance application process which eliminates hard copy submission, virtually eliminates approval time and even allows a purchaser to take possession of the laser projector before the variance application is even made. The new X-Laser EZ Variance Kit is a revolution in laser compliance and again demonstrates X-Laser’s unwavering commitment to helping everyone perform safe and legal high powered laser light shows. This innovative new process makes X-Laser the only laser manufacturer in the world able to complete sales of laser equipment to persons or firms who do not yet hold laser light show variances. Better yet, the entire variance process can be completed simply and quickly right on X-Laser’s website after purchasing an EZ Variance Kit from an authorized X-Laser dealer along with a qualifying X-Laser product. Making use of the Federal eSign legislation and an FDA approved service which captures legally binding digital signatures, the online process completely eliminates paper waste while maintaining the strictest standards of security and traceability in the market. Anyone wishing to purchase a high powered X-Laser may visit an authorized X-Laser dealer, purchase the product and the EZ Variance Kit, and then take the product home immediately since they are able to complete the variance application at their convenience from any Internet connected computer in the world. This revolutionary new process is especially important to online commerce in general and auction sites specifically. The reality that purchaser must hold a laser light show variance PRIOR to a sale has made it virtually impossible for legitimate sellers of high powered laser light show projectors to sell their products through venues like eBay. Because such sites uniformly lack any mechanism for making sure that a user already holds a laser light show variance and at the same time treat a winning bid as a contract of sale, reputable dealers cannot enter into a contract that would require them to complete a sale to a bidder who is not yet allowed to own the product. Now, only with the new X-Laser enhanced variance process this legal problem is a thing of the past dramatically increasing accessibility for selected dealers and purchasers all over the world. Lastly, but perhaps most importantly, because the FDA has evaluated and pre-approved the content of the X-Laser EZ Variance Kit users will no longer have to wait for a year or more for FDA staff to review their application. While an approval is still required for laser light show productions, the time from application to receipt of final approval has now been shortened dramatically giving users new confidence about the ease of the variance application process and peace of mind about using high powered lasers. Tour producers, festival promoters, installers and many more are on tight timelines and now X-Laser is poised to serve these markets with the most rapid variance approvals in the industry. It has never been easier, faster or more secure to meet US radiation compliance regulations without having to worry about citations from inspections or fines for product compliance or variance status. This new process including the online application, digital signature, pre-application sales and the pre-approved variance kit is exclusive to X-Laser, is effective immediately and will have force of law with any genuine X-Laser or Nocturne by X-Laser product.